‘When a Scotsman tastes a fine, fine Scotch – the liquid of legend, smooth and gentle – he is said to hear the skirl of 100 pipers,’ declared a 1968 ad’, before admitting that for some it’s ‘lutes and harps… rock-and-roll… and even the wedding march from Lohengrin’. Well, they don’t make copywriters like that anymore. 100 Pipers takes its name from the ballad of The Hundred Pipers, which tells the story of the troop of pipers said to have led Bonnie Prince Charlie into battle during the 1745 Jacobite uprising. 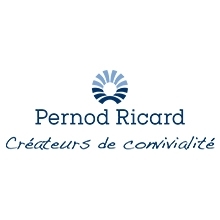 Under Pernod Ricard, 100 Pipers sells over 1.7 million cases and is particularly strong in Thailand and India where it is locally bottled and now comes with a 12-year-old deluxe variant. 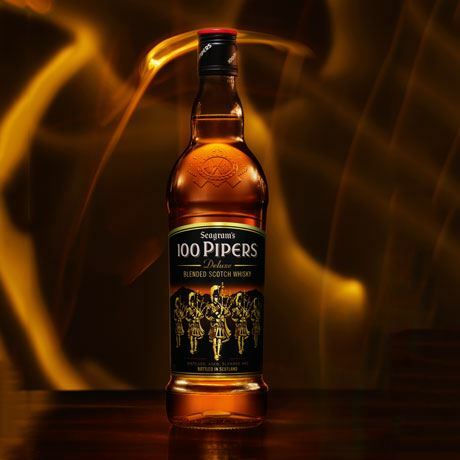 100 Pipers is a light, vanilla-scented blend with notes of dried fruit, soft smoke and spice. Today the blend is centred around the light Speyside malt whisky from Allt-a-Bhainne distillery. The blend was created by Jimmy Lang and Chivas Brothers master blender, Alan Baillie in 1965, and first launched in the US. Four years later the name ‘Seagram’s’ was added to the label (and remains to this day), and the Scottish flag removed. A 12-year-old extension was added in 1986, followed by a 20-year-old in 1988, by which point 100 Pipers was selling 800,000 cases globally, of which 270,000 were in the UK. It was claimed to be the fourth best-selling Scotch in Scotland. In 1992 100 Pipers became the first Seagram-owned Scotch whisky in Korea and was launched in Thailand a year later. Back in the UK it was evolving into ‘The Black Watch’ blend. With sales in Thailand reaching 2.7m cases, the brand peaked at 3.4m cases in 2005, becoming the 5th biggest standard Scotch globally. That year a 100 Pipers 8-year-old blended malt was launched in Thailand. All this time the brand’s spiritual home was Allt-a-Bhainne, the Speyside distillery built by Seagram in 1975. It is also locally bottled in India where sales of 100 Pipers reached 300,000 cases in 2011.